Hypertension: For treatment of hypertension, lisinopril may be used alone or concomitantly with other classes of antihypertensive agents. Sufficient data have not been provided to support the use of lisinopril in severe hypertension or renovascular hypertension. Congestive heart failure: For treatment of heart failure, it is recommended that lisinopril be administered together with a diuretic. 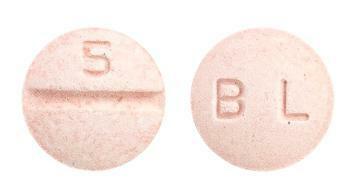 Acute myocardial infarction: For treatment of acute myocardial infarction in haemodynamically stable patients, defined as patients who are not in cardiogenic shock and who have a systolic blood pressure greater than 100 mmHg, lisinopril may be initiated within 24 hours of an acute myocardial infarction. Light pink coloured, circular, biconvex, uncoated tablets with '5' embossing and breakline on one side, and 'BL' embossing on the other side. White to almost white, circular, biconvex, uncoated tablets with '2.5' embossing on one side and 'BL' embossing on the other side. 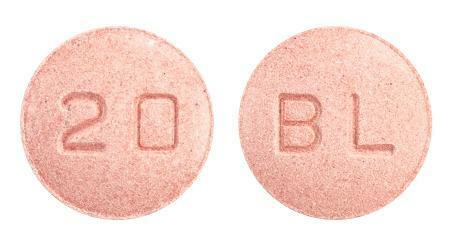 Pink coloured, circular, biconvex, uncoated tablets with '20' embossed on one side, and 'BL' embossing on the other side. 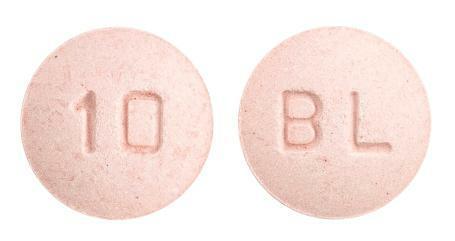 Light pink coloured, circular, biconvex, uncoated tablets with '10' embossing on one side, and 'BL' on the other side.